War, political turmoil, religion, and more with Diageo Reserve's Jorge Raptis. A true aficionado of all things agave, Jorge is both Greek and Mexican; an interesting combination that spills hospitality and cordiality. From early days in Mexico to the career influencing years in Houston, Jorge has been driven to learn, greet, and pair the best minds together. In the midst of a massive reorganization of the Diageo teams, Jorge now finds himself singing the praises of Don Julio Tequila and Zacapa Rum across the nation. 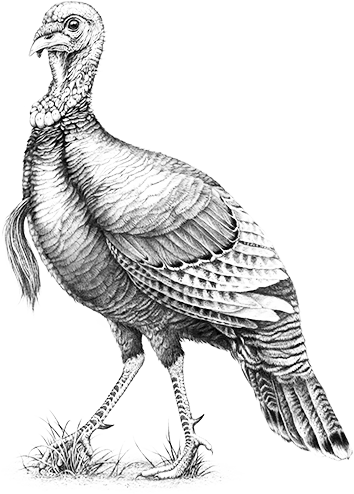 We chat the "big guys", incubators, and Sotol Pechuga. The cocktail revolution is upon us, but the coffee revolution is now intersecting perfectly. With amazing flavor combinations and coffee innovations, you would think Fleet Coffee in Austin, TX is the newest Texas cocktail haven. It is in fact an incubator for amazing flavor combinations constructed by the 2 least pretentious gentleman you'd expect. Patrick and Lorenzo both worked their way through the early days of coffee in Austin. After time working together at Cafe Medici and a brief spark of entrepreneurialism, Fleet Coffee was born. We talk fruity pebbles, closing drinks, and modern music. 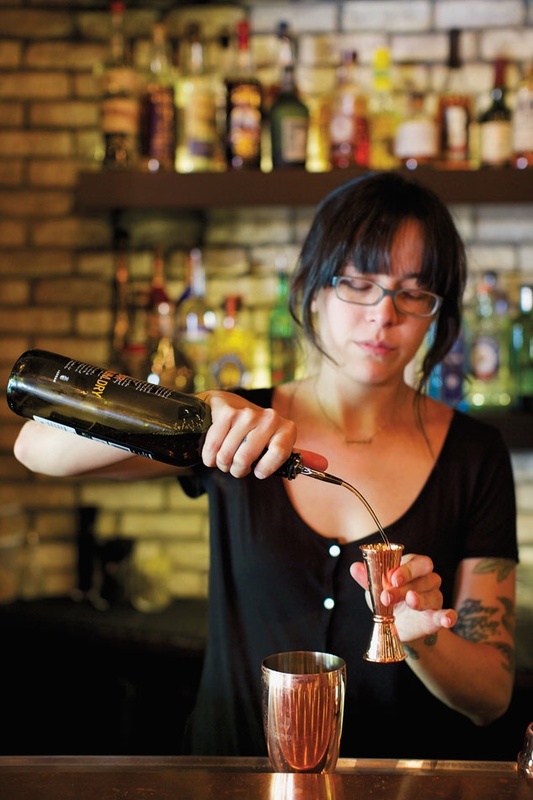 Alexis Piotrowski is the perfect template for bar efficiency and no nonsense staff management. An early athlete and found object artist, Alexis found her destiny was in the hospitality industry. With varying experience serving shots, margaritas, and every other iteration of alcoholic beverages you can imagine, Alexis brought her impressive resume to Austin where she brought the original Jackalope into a new era of success and has been an integral force in constructing Version 2.0 Jackalope South Shore. We chat election results, being conscious of costs, and playing the right hits. 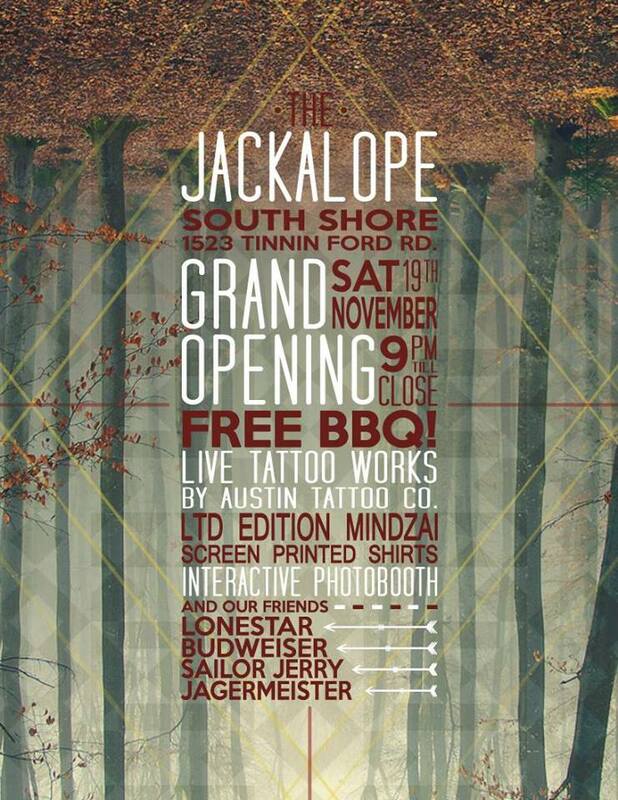 Jackalope South Shore's grand opening is THIS Saturday November 19th. Details Below. Longtime guitarist and touring musician Aaron Beavers has been selling whiskey from the stage for years. Once he strummed his first guitar, he was hooked and writing hooks in no time. From Arizona to Colorado to Hawaii, Aaron has followed his passion for music and after years of writing, a pay to play gig in LA catapulted his music career. But as his rise to fame came to an apex, Napster was just around the corner redefining the operations of the music industry. Turning to hospitality to pay the bills and over a decade later, Aaron is still slinging whiskey. As a luxury specialist for Beam-Suntory, Aaron shares some of the world's greatest whiskies with some of the greatest minds in the game. We chat fatherhood, John Popper, and Wilco. It's the one year anniversary of Austin's Infinite Monkey Theorem winery: a reinvention of the classic concept; reasonably priced, ethically produced, and completely transparent wine production all under a roof in the city limits. The wonderful couple Aaron and Meredith Berman are the masterminds behind the Austin landmark. They are business savvy, artistic, and sharing the great flavors of Texas terroir with their wines. With a child on the way, and the one year Austin anniversary of the winery on the horizon, how has this venture affected the couple's relationship and how difficult is it really to run a business with the person you love? We chat writing, third wheels, and wines in a can. It's Martine-y time! 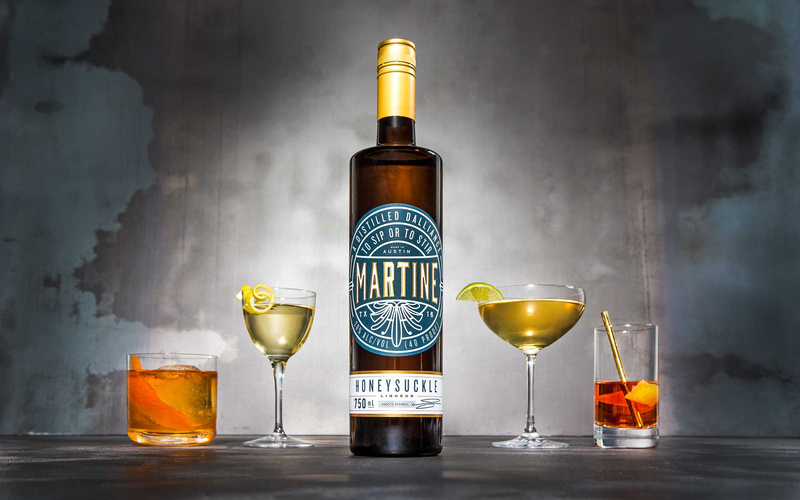 To celebrate the launch of the Martine Honeysuckle Liqueur, today on SDV we talk to its creators and massive influences on the Texas spirits scene, Dee and Gary Kelleher. From Texacello, Dripping Springs Vodka, to Pepe Z tequila, Dee and Gary have been at the forefront of creating exciting products to firmly establish Texas as a haven for distilled spirits. What started as a cocktail waitress/bar manager romance over 35 years ago, has now transformed into a power couple that inspires and delights. They've seen the Austin cocktail scene at its every turn and now influences its future profoundly with bold new concoctions. We chat distilling, distributors, and maintaining a loving marriage for over 3 decades. Texas rears its head again upon the global cocktail stage. From early days in the Houston music scene, to an academic pursuit of design, Claire Sprouse's shift to the hospitality industry was the perfect platform for her creativity, love of sociology, and passion for design. Unassuming and brilliant perfect illustrates Claire's level of perceptiveness and abilities behind the bar. A single Gin competition launched a career that now has Claire leading green efforts in San Francisco with her consulting group Tin Roof Drink Community. She's a mentor and innovator. We chat Fugazi, Hands Up Houston, fast food, and more.